(by Thomas Sowell, RealClearPolitics) – Most people are not even surprised any more when they hear about someone who came here from Korea or Vietnam with very little money, and very little knowledge of English, who nevertheless persevered and rose in American society. Nor are we surprised when their children excel in school and go on to professional careers. Yet, in utter disregard of such plain facts, so-called “social scientists” do studies which conclude that America is no longer a land of opportunity, and that upward mobility is a “myth.” Even when these studies have lots of numbers in tables and equations that mimic the appearance of science, too often their conclusions depend on wholly arbitrary [random] assumptions. Opportunity is just one factor in economic advancement. How well a given individual or group takes advantage of existing opportunities is another. Only by implicitly [absolutely] (and arbitrarily) assuming that a failure to rise must be due to society’s barriers can we say that American society no longer has opportunity for upward social mobility. Ironically, many of the very people who are promoting the idea that the “unfairness” of American society is the reason why some individuals and groups are not advancing are themselves a big part of the reason for the stagnation that occurs. Those “social scientists,” journalists and others who are committed to the theory that social barriers keep people down often cite statistics showing that the top income brackets receive a disproportionate and growing share of the country’s income. We should be concerned with the economic fate of flesh-and-blood human beings, not waxing indignant [becoming increasingly outraged] over the fate of abstract statistical brackets. Unless, of course, we are hustling for an expansion of the welfare state. Coypright 2013 Creators.com. Published March 6, 2013 at RealClearPolitics.com. Reprinted here on March 14, 2013, for educational purposes only. May not be reproduced on other websites without permission from RealClearPolitics and Creators. 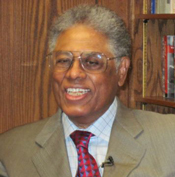 2. a) Which of Dr. Sowell’s statements about economic mobility are new ideas to you? b) For each one, do you think Dr. Sowell’s assertion is reasonable? Explain your answers.